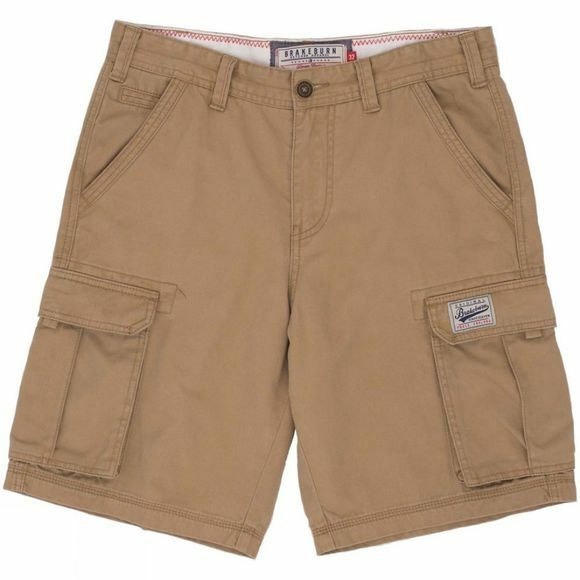 The Mens Cargo Shorts from Brakeburn are ideal for anyone looking for that rugged look or want the functionality that they offer. Made from a cotton/elastane blend, they have a slight stretch to them and are comfortable for all day wear. With two thigh pockets and two hand pockets, there is plenty of room for carrying all your essentials.